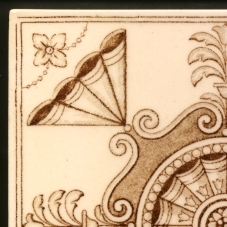 Three very tiny, two minute rim chips, a touch of roughness to the tip of the rim, near perfect surface. 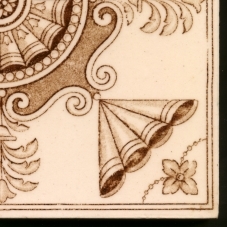 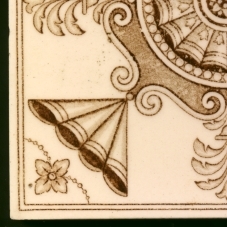 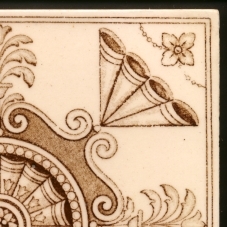 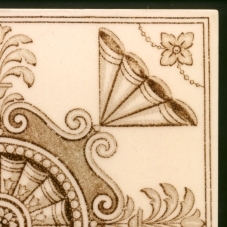 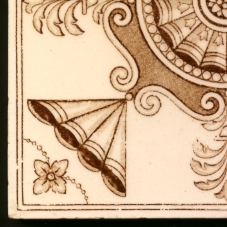 An eclectic aesthetic design with greek and renaissance elements printed in dark brown on a pale buff body. 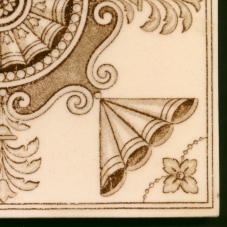 Versos very clean but a little stain near the rims, embossed Minton Hollins etc, printed design registration number.